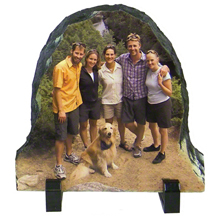 SubliSLATE™ Rectangle, 5.85" x 7.8" 3/8” Image orientation can be portrait or landscape - sample shown is portrait. 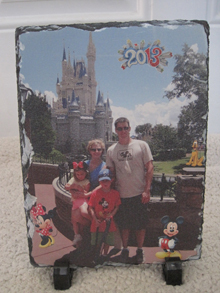 SubliSLATE™ Rectangle, 4.68" x 8.58", 3/8” . Image orientation can be portrait or landscape - sample shown is landscape. SubliSLATE™ Oval, 7.8" x 7.8"